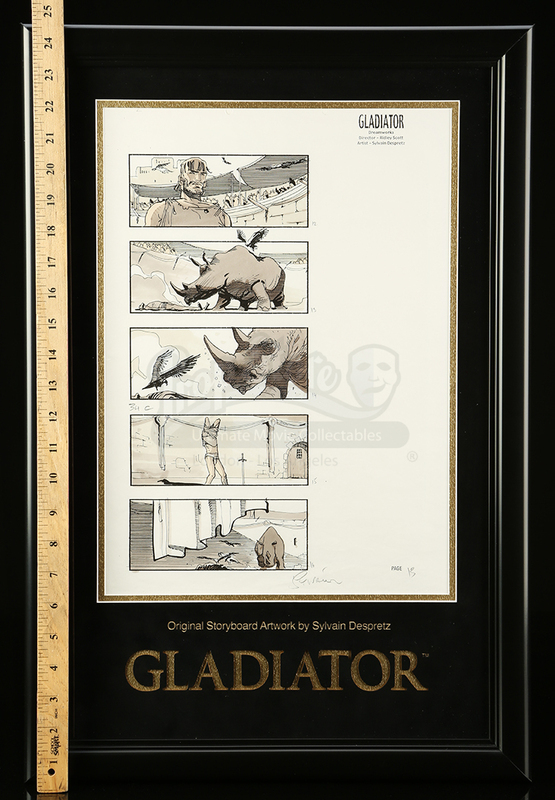 Framed original storyboard artwork from Ridley Scott’s historical epic, Gladiator. 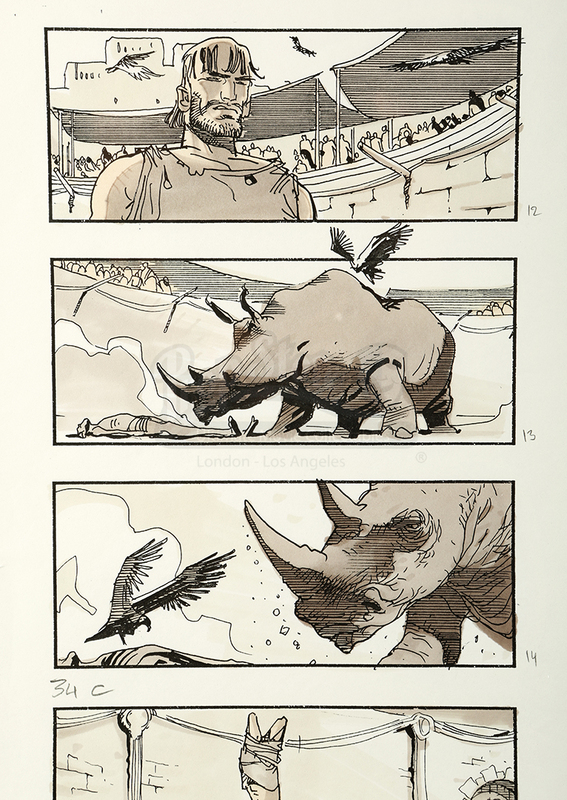 Created by the film's art department illustrator Sylvain Despretz, this artwork was used for the film's extensive special effects. To create this original one-of-a kind piece of artwork, Despretz’s black and white artwork (which was created digitally) was printed on paper and then Despretz hand-colored the art using marker. 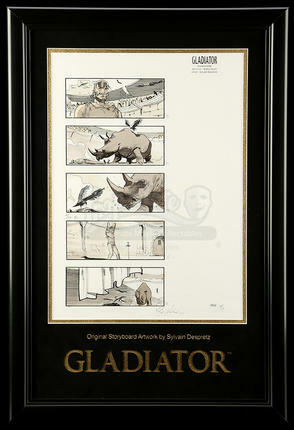 The piece features multiple frames numbered in pencil and depict Maximus in the Colosseum about to face off with a rhino from a sequence that was never filmed. The art is also signed in pencil by Despretz at the bottom of the page. 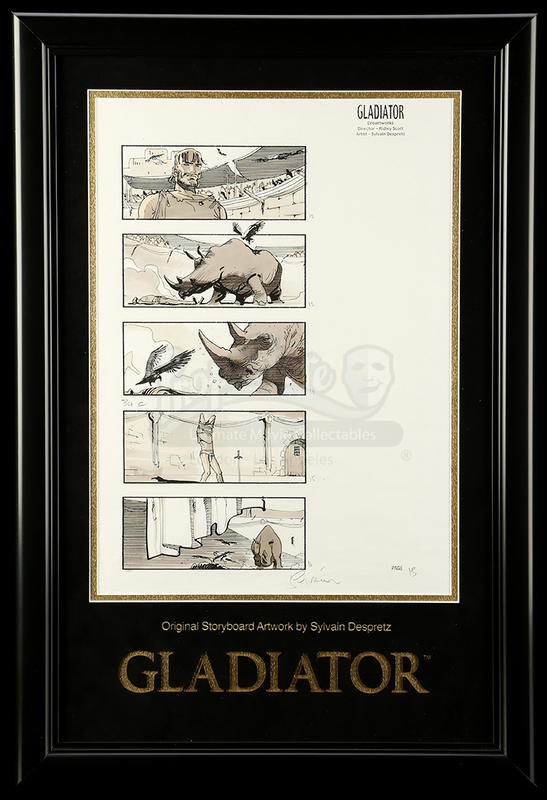 The artwork comes beautifully presented in a custom built frame with laser-cut mount board featuring the classic movie title. The display is in excellent condition.